Cashanova Dollar Bill Party Suit!! 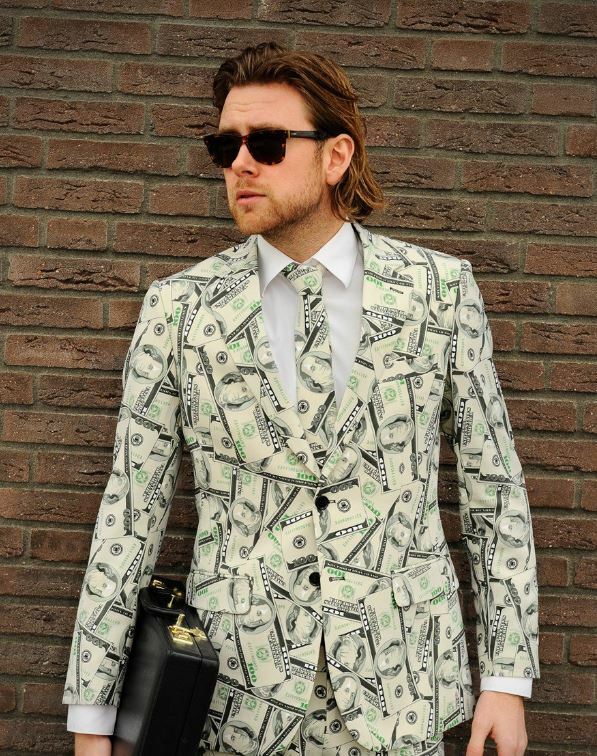 Yeah, this is actually a suit made from dollar bills!! Well, not exactly. It’s just the print but hey, it’s still damn cool!!! And the best thing is that this suit is a real thing. You can actually get one for yourself and increase your swag to sky high. It’s also a great alternative to wear at costume parties or halloween. WORN TO BE WILD. Actually it’s pretty suitable for any type of party year around if you have the desire to wear it, be it a bachelor party, wedding, festival or any kind of other events. It’s tailored as an original suit by OppoSuits and it has real suit pockets inside and outside, lining, buttons, belt loops and etc.. All the details that you can imagine from an actual suit.It also comes with a tie included in the bundle. It’s made from quality material 100% polyester and machine washable. Price for this unique item is also pretty affordable. In a price range of $99.00 – $124.99 the Cashanova Dollar Suit can be yours. Its size ranges from 36 to 52, but it’s a slim fit cut, so if you are thoughtful about will it fit or not you may consider buying one size larger. 50% of customers say that Cashanova Suit fits perfect. 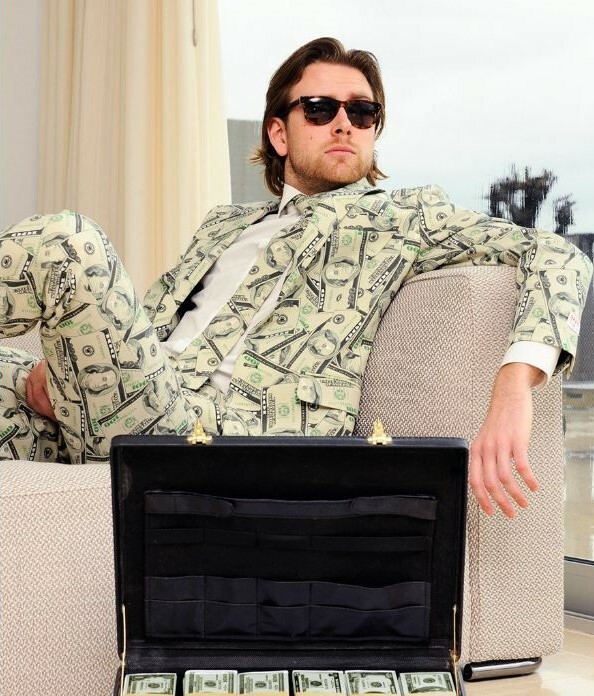 You can easily get a Cashanoa Dolar Bill Suit for yourself from Amazon.com. You can select the size suitable for you from thei interface. I don’t even have to mention the amazing retail service of Amazon.